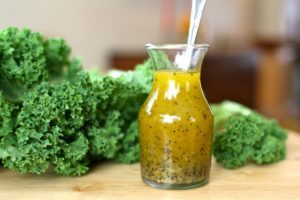 These are awesome dressing recipes for veggies by Ashley Grimmel, An Oasis Of Healing’s Nutritionist And Health Educator. We had a whole class on how simple it is to prepare raw vegan food and awesome dressing recipes for veggies. We transformed tough lacinato kale into soft tender leaves. All in a matter of a minutes! You can do the same at home as it’s easy and fast and most importantly very nutritional and delicious. All recipes can be made ahead of time. So you can marinate your veggies on Sunday and have veggies to enjoy most of the week! Add more or less oil to meet your calorie goals. Always taste as you add seasoning ingredients such as salt and pepper to make sure that you don’t go overboard and adjust to your liking. Toss with lemon juice and salt “massage” the kale using hands for about 1 minute. Place in glass container and store in refrigerator for up 4 days. Note: This can be doubled and kept in the refrigerator for 4 days. In a food processor mince the garlic add the rest of the ingredients and process until smooth. Store in a sealed container for up to 4 days. Whisk all ingredients together and store in a sealed container for up to 5 days. 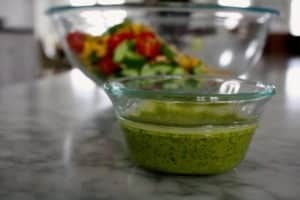 All of these awesome dressing recipes for veggies are perfect for helping to maintain the lifestyle that is taught at our healing center. 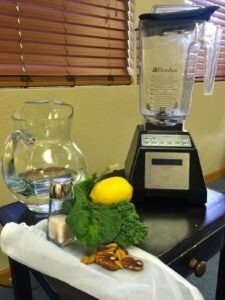 This is what separates An Oasis Of Healing from other cancer treatment centers who focus on more holistic and alternative treatments. We arm you with the knowledge you need to make a smooth transition from our center to your home without missing a beat. Embracing this lifestyle helps you stay on a path of health restoration and continued healing. Don’t hesitate to reach out to us as we are here to help and let us know how you enjoyed these healthy dressing recipes for your veggies.